Undercover FBI Agent Faith Timberly is close to breaking the case she’s been working on for months. The last thing she needs is a blast from the past coming back to distract her, but Greg ‘Cowboy’ Robertson is hard to resist. Long ago they’d shared one kiss that she’s never been able to forget. With a promotion on the line, she will do everything she can to ignore an attraction that years apart hasn’t dulled. 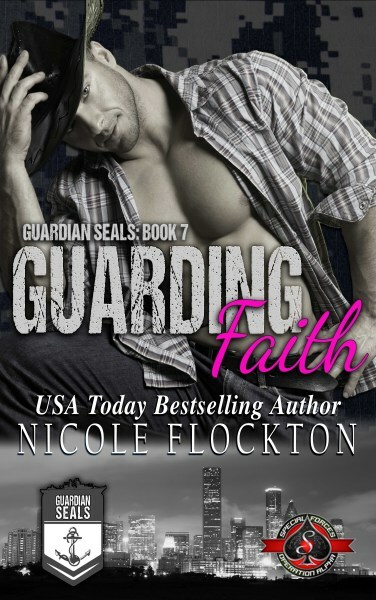 Navy SEAL Greg Robertson is ready to spend time with his family when he finds out a former teenage crush is competing at the Houston Livestock and Rodeo Show. Faith’s beauty ignites a fire in him and he doesn’t want to douse it. But Faith is acting strange. When he discovers she’s an FBI Agent and working a case, he knows he should keep away…but he can’t. Not when Faith’s life is in danger. Now that he’s found her, Greg has no plans to let Faith go. But will he be too late?